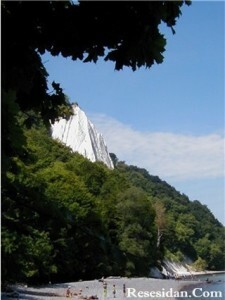 Early in the morning when the sun lights up the white cliffs is the best time to visit Most people come here by car, bicycle, motorcycle or bus. 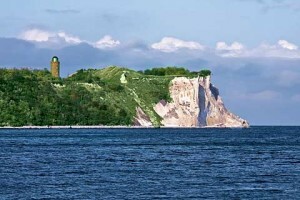 To see the cliffs from the water, you can take a boat from the Pier in Binz departure several times per day to the “The Kings Chair”. Here is an opportunity to walk a few kilometers in the lovely beech forest. 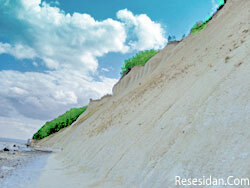 If you have good health and fitness, it is nice to walk down the cliffs on a stairway to the beach. It’s a long way down, so it can be quite a pain when you go up later. 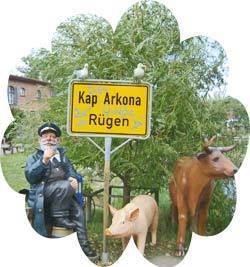 Cape Arkona is located on the northernmost point of Rügen. 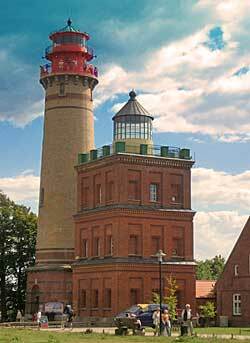 Parking a few kilometers from the scenic area with rocks, lighthouse and museum. You get a nice walk along the road where you find exciting shops and great cafes. If you don’t want to go that far, there is a shuttle train that takes you right up to Cape Arkona for a cost of a couple of Euros, but it’s a very nice walk if you can.